Charlie Parker, Joe Williams, King Stitt, Rhythm Scholar Vs. Paul McCartney, The Banjo Barons and more. More.. Jazzy, Funky, Souley, Bluesy, Groovy, Rappy, Reggeay, Horny..., Weird & Sleazy.. only sometimes serious.. Thanks Brother.. always nice to hear.. Very nice! Have a happy Xmas!!! Hey Ronny. I miss seeing you on soulseek. 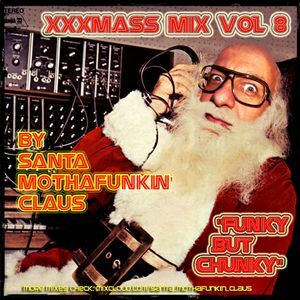 always looked forward to the XXXmas mixes. Svyatyy Mykolay!!! (Holy Ronny!!!) Hou Hou Hou!